Marazion Hotel, Marazion, Cornwall is within 50 yards of one of Cornwall's safest beaches, this family run hotel in Marazion offers a relaxed atmosphere with friendly service. The hotel's bedrooms are individually furnished and comfortable and many hotel rooms have views across to St Michaels Mount. 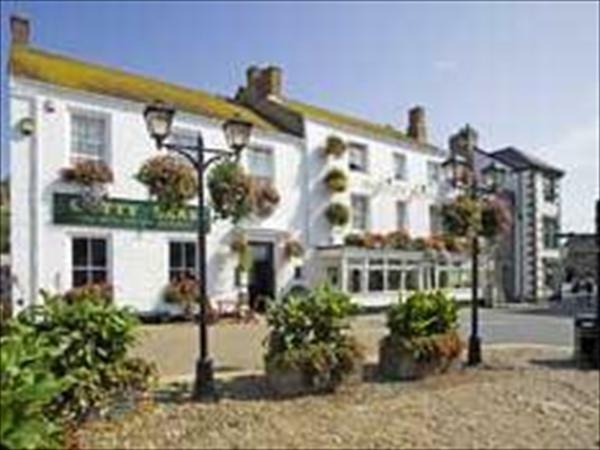 The hotel incorporates the Cutty Sark public bar and restaurant where a wide range of meals is offered at this friendly hotel in Marazion.